Cheryl is a licensed Clinical Psychologist and certified School Psychologist specializing in Autism Spectrum Disorders. She has a deep history of working in mental health clinics, in public and private school settings, and working with individuals and special needs populations. Cheryl joined Center for Spectrum Services in 2007, coming on board as a Clinical School Psychologist. Now as Clinical Department Head, Cheryl supervises all social workers, psychologists, and behavioral specialists. 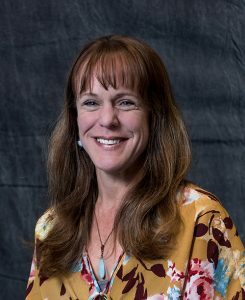 She provides counseling, social skills training, and behavioral support services to students, as well as conducting trans-disciplinary assessments and diagnostic evaluations for Autism Spectrum Disorders. In addition, Cheryl provides specialized training to our staff and consults to schools and agencies throughout the Mid-Hudson Valley. Cheryl is a 2001 graduate of the Combined Clinical and School Psychology Program at Hofstra University, is approved by the NYS Education Department as a provider of training in the needs of children with autism, and as a Dignity for All Students Act (DASA) trainer. Cheryl is also a member of the American Psychological Association (APA), and the Hudson Valley Psychological Association (HVPA). Cheryl’s experiences working at Spectrum Services, as well as her own personal experience of parenting a child on the autism spectrum, makes her passionate and dedicated to helping families understand, cope with, and better address this diagnosis, ultimately aiming to emphasize the unique characteristics and strengths those with ASD have to offer.